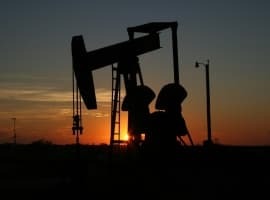 We begin with a look at the key figures in the oil market this week, which show that oil prices have held onto gains, reaching the $50 mark for the first time in months. Oil prices held onto their gains this week, adding a bit of momentum to the rally that started in late September following the OPEC deal. On Thursday, WTI broke through the $50 per barrel threshold for the first time since June on a fragile, but growing sense of optimism that oil markets are heading closer to balance. U.S. crude oil stocks fell again this week, adding to the bullish sentiment. Another bit of positive news came at the end of the week when OPEC’s Secretary-General said he will meet Russia’s energy minister in Istanbul for talks. The “consultations” will take place on the sidelines of an energy conference this weekend, and while there is no guarantee that Russia will coordinate or cooperate with OPEC’s planned production cuts, Russia has been more open to cooperation with OPEC this year than at any point in recent memory. Saudis to cut production anyway. The Wall Street Journal reports that Saudi’s powerful Deputy Crown Prince Mohammed bin Salman gave the greenlight to negotiators to come to a deal with OPEC countries on production cuts in Algiers last month. However, according to WSJ sources, it does not mark an about-face for the country’s oil strategy of fighting for market share. The Prince gave the space to negotiate a production cut, but only for volumes that the Kingdom had been planning to cut anyway. Production in Saudi Arabia tends to fall after peak summer demand, so the announced cuts for the OPEC deal did not involve much of a sacrifice. The distinction is important because it could offer clues into how far Saudi Arabia will be willing to go to prop up oil prices, which is to say, perhaps not that far. Saudi Aramco to publish accounts. The world’s largest oil producer plans on publishing details of its finances for the first time ahead of a planned partial IPO in 2018, the FT reports. Aramco’s finances have long been shrouded in mystery, but in order to list shares, the company will need to provide more transparency to investors. It will release data next year, for the years 2015-2017. Saudi Arabia plans on listing about 5 percent of the company, and Saudi officials believe the company will be valued at as much as $2 trillion. A sign of oil glut. Bloomberg reports that at least 10 oil tankers are waiting in the North Sea, a sign that the oil market for Brent crude is still oversupplied. It is unusual for more than one or two tankers to be anchoring waiting to transfer their cargo. The uptick in what is essentially oil sitting in floating storage, in spite of oil field maintenance in the North Sea, suggests oil markets are still weak. Related: Can Microwave Technology Compete With Fracking? Major Alaska oil discovery; tax changes loom. Caelus Energy LLC reported a 6 billion barrel oil discovery on the northern coast of Alaska this week. The “world class” discovery could be one of the largest in over a decade for Alaska, and has the potential to eventually produce 200,000 barrels per day. 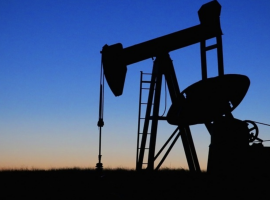 The project will be expensive, however, and not profitable at today’s oil prices. It will take years to develop as well and wouldn’t come online before 2020. Meanwhile, the state is paring back tax incentives for the industry as it sees revenues plunge. In 2014, Alaska took in $7.4 billion in oil revenues; by 2017 that will fall by 86 percent to just $1 billion. Now the state is scrapping tax credits and other incentives, but the industry is warning that it will kill off the golden goose. UK greenlights fracking. In a surprise move, the British government gave the go-ahead to Cuadrilla Resources to drill for natural gas in northern England. The UK Secretary of State for Communities overruled local planning commissions, granting the company a win after a multiyear battle for the right to hydraulically fracture. Proponents of the drilling plan say that fracking for gas will halt the UK’s more than a decade decline in natural gas production. Cuadrilla says producing gas will likely require prices at about $6 per million Btu – current gas prices trade for less than that. Russian government orders Rosneft to take over Bashneft. Russia’s state-owned oil company Rosneft was ordered to swallow up a majority stake in Bashneft, the largest state-owned asset sale in a decade. Rosneft will buy out the government’s stake for $5.3 billion, giving government coffers a cash injection. The sale of Bashneft had once been billed as a privatization effort, but now Russia’s oil assets will be further concentrated into its largest state-owned company. Natural gas market tightens. Natural gas prices for 2017 rose to their highest levels in a year as demand continues to rise and supply falters. Henry Hub prices for July 2017 rose to $3.147 per MMBtu, the highest price in more than a year. U.S. natural gas markets were terribly oversupplied last winter, but production continues to fall and demand is steadily rising as new gas-fired power plants come online. The result has been a surprisingly weak injection season, setting the market up for tighter conditions this winter. UN ratifies agreement on airline emissions. The UN ratified an agreement that calls for cuts to greenhouse gas emissions from international flights, the first international agreement to address airline emissions. The deal calls for a peak in international airline emissions in 2020, but would allow airlines to continue to increase emissions beyond that date as long as they buy carbon offsets. With few fuel alternatives for airliners, emissions are expected to continue to climb in spite of the agreement. If it weren't for the speculators, oil would be below $45. The glut is still there, and OPEC is all talk. I predict a reality check next week. Hey Obama, nobody asked for your dam opinion.